Ilena had several serious issues that needed to be addressed. 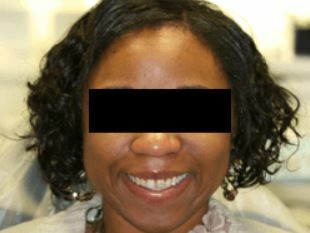 Most importantly, we had to first get her on a hygiene regimen that addressed her ongoing periodontal problems. 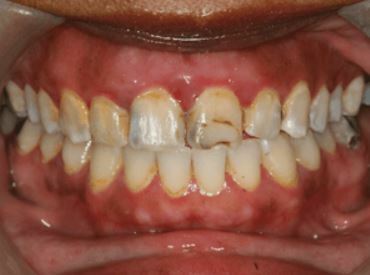 Before we could concentrate on the extensive decay (cavities), we had to tackle the periodontal problems. Once the periodontal issues were dealt with and Tonya was showing improvement in home care, we began to concentrate on her teeth. 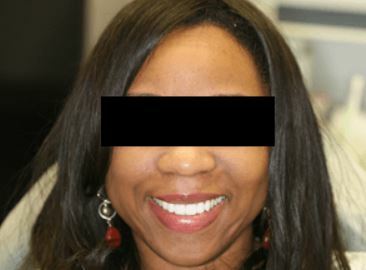 She needed two root canals as well as large cavity restorations. Finally, we were able to crown the front eight teeth and restore the posterior teeth (results not shown). When we were finished with the restorations, Tonya was left speechless. This was a case that truly altered her life forever.